We have fabulous news to share with you. 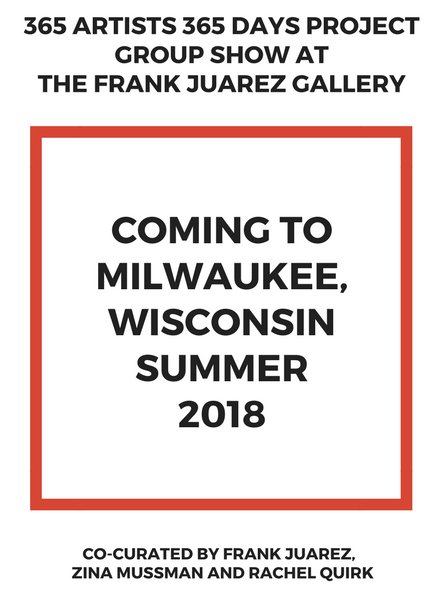 The Frank Juarez Gallery made it through Round 1 of the Best of Milwaukee 2018 competition for the best art gallery (non-museum) in Milwaukee. Now, we enter the last round as a finalist for best art gallery in Milwaukee. We need your support & vote. If you voted in Round 1, you will need to vote again in Round 2. Round 2 of voting starts today, November 1 and ends on November 29 after which the winner will be selected by the Shepherd Express readers. 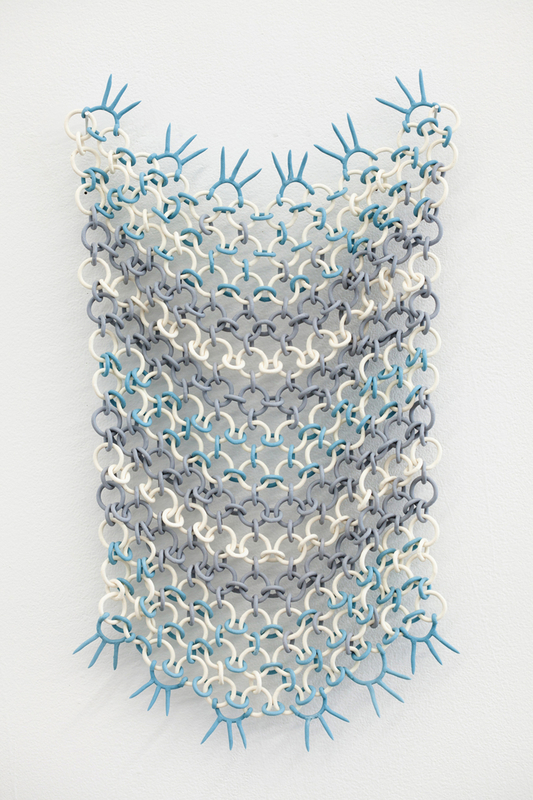 This past summer, it curated its first 365 Artists 365 Days Project: The Show. The Frank Juarez Gallery and Greymatter Gallery have been working together since 2014 bringing you the 365 Artists 365 Days Project. Here is the link to vote for the Frank Juarez Gallery (all you have to do is vote once). Feel free to share this link with those that are interested in voting for the Frank Juarez Gallery. Thank you for your time, support, and vote. We sincerely appreciate it from the bottom of our heARTs. 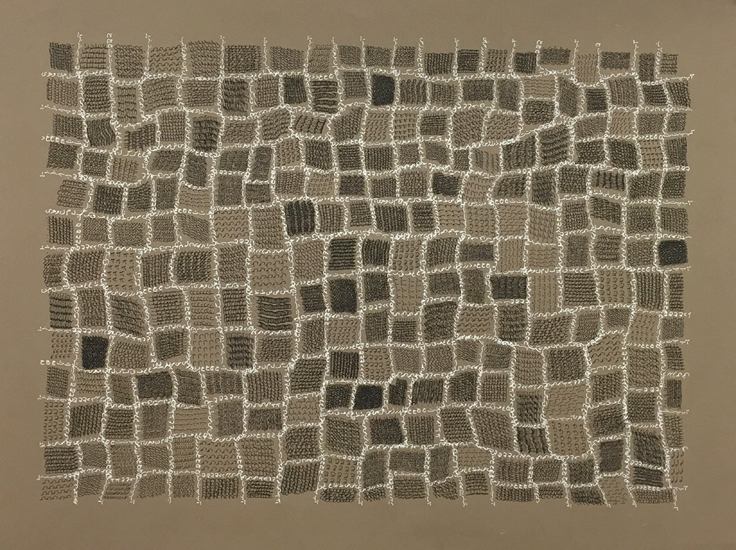 The 365 Artists 365 Days Project – created by WEAC Region 3 member Frank Juarez of Sheboygan North High School – highlights contemporary artists from across the globe through an online interview platform. Since its inception in 2014, it has introduced artists on a daily basis via online and social media. To date, the 365 Artists 365 Days Project has featured over 700+ artists working in various media, processes, and studio practices. Read more. 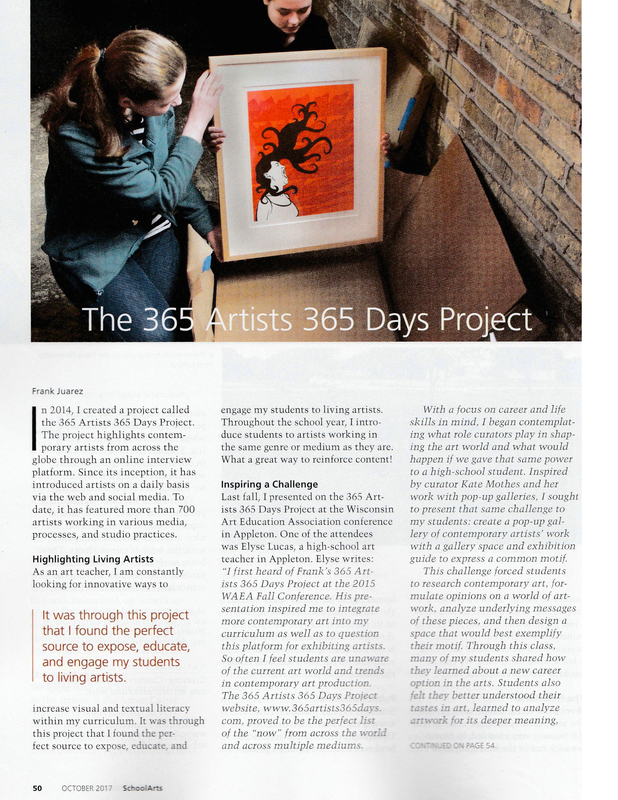 The 365 Artists 365 Days Project is featured in the October 2017 Issue of SchoolArts Magazine. 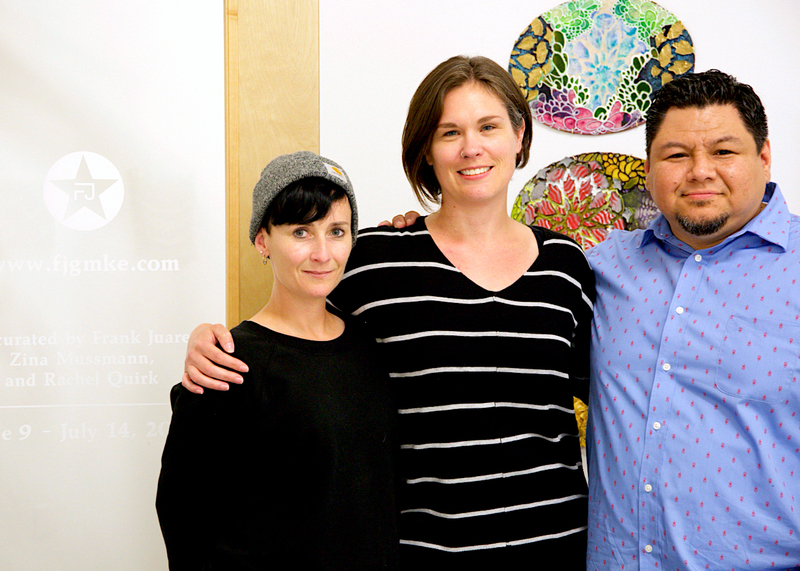 Educators Frank Juarez and Elyse Lucas collaborated on a project that embraces curation, contemporary art, and community engagement. About the DIY Gallery: A Deeper Look into the 365 Artists 365 Days Project. 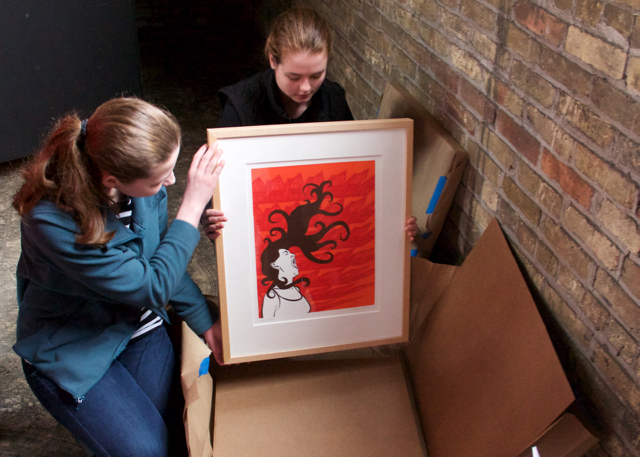 The DIY Gallery: A Deeper Look into the 365 Artists 365 Days Project inspired Appleton high school art teacher, Elyse Lucas, to create an art curriculum that would engage art students to research, collaborate, and design their own mock up art galleries. 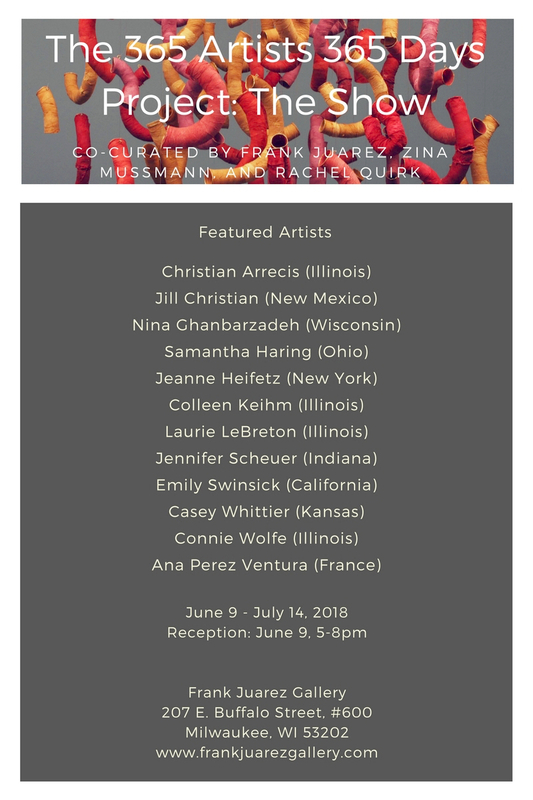 Their journey led them to organize and curate a real exhibition in North East Wisconsin with artists from this project under the guidance of Frank Juarez. The 365 Artists 365 Days Project highlights contemporary artists from across the globe through an online interview platform. 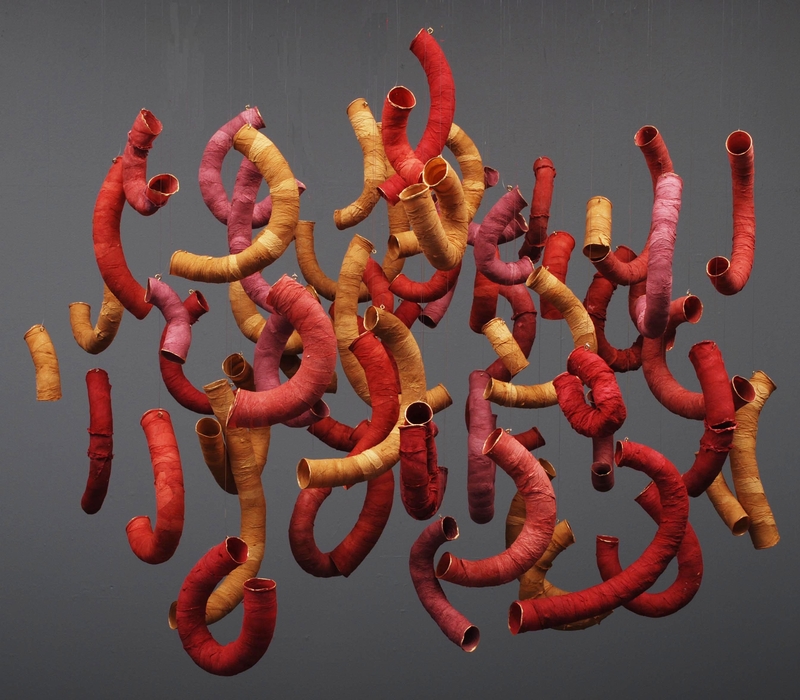 Since its inception in 2014, it has introduced artist on a daily basis via online and social media. 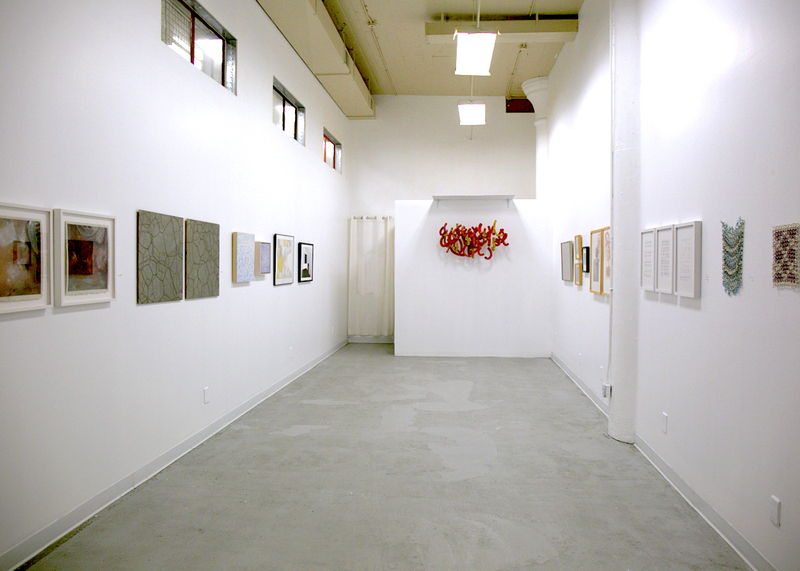 To date, it has featured over 700+ artists working in various media, processes, and studio practices. 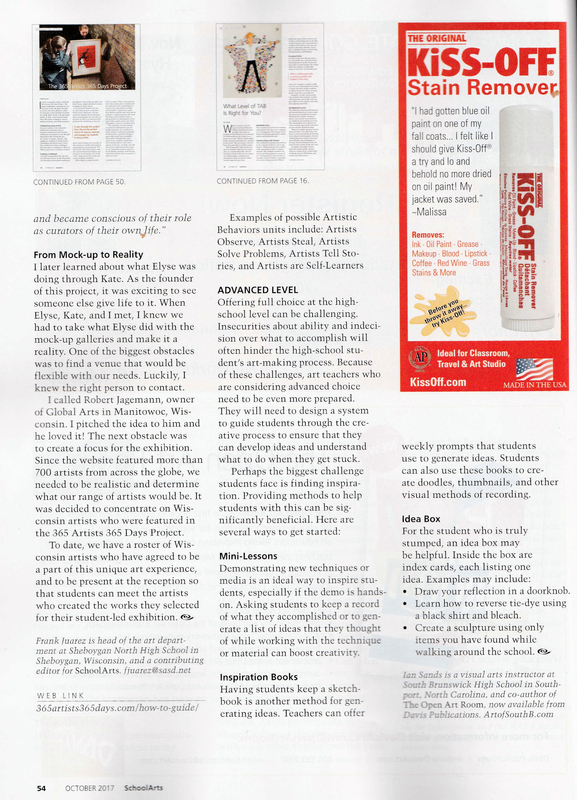 SchoolArts is a national art education magazine committed to promoting excellence, advocacy, and professional support for educators in the visual arts. It is gonna happen, ya’ll. Pre-planning will start very soon. We will be posting on this page with details, however, if you have been featured in this project (2014 -2015) and would like the paperwork emailed to you directly simply fill out the form below.